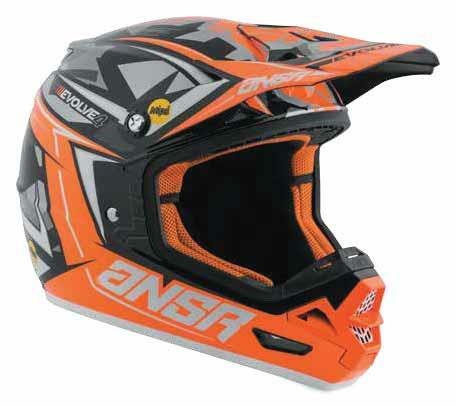 The Answer Racing Evolve 4 MIPS helmet is the performance leader in value based offroad helmets and features MIPS (Multi-directional Impact Protection System) technology as well as many other high-end features. What is MIPS? MIPS was developed by brain surgeons and scientists to reduce rotational forces on the brain caused by angled impacts to the head. Adding MIPS to the Evolve 4 helmet brings state of the art safety technology other companies charge double the price for. Safety is key with all our helmets and the Evolve 4 MIPS passes two of the toughest safety standards today, DOT and ECE. Comfort is addressed with our round-oval shell shape and using top of the line SilverCool wicking material in the interior. Shell design features great venting, a strengthened chinbar and large eye port that accommodate most goggles including larger, over the glasses types.